Does your MBA College justify your Investment ? A substantial amount of money has just parted from you in the form of your MBA fee and you sit back and try to comprehend the pressure you will be facing soon to justify this investment. Now how would you feel if your college takes half of this ‘Justification’ pressure from you? Wouldn’t that be a reassuring moment for you? Let’s take IBS into consideration to shed some light on the above mentioned title. Broadly, the college in itself is so renowned that the fee you have just paid would not be frittered away. But as previously mentioned we are talking about sharing the pressure and not imposing the entire of it on the college. And so, you also would have to buckle down. 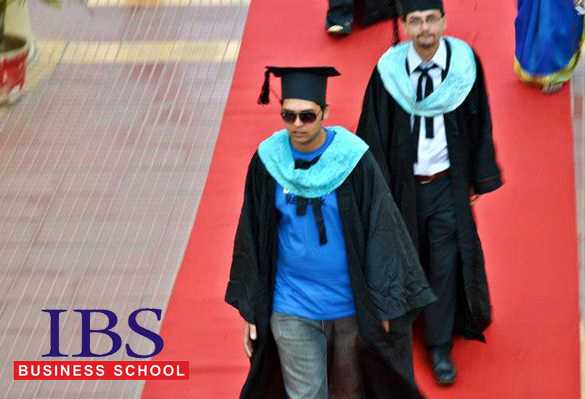 IBS, from the very beginning of the course, makes sure that you walk on a straight path towards your destination. For that to happen it has installed various street lights on this path named ‘Professors’. The professors are not randomly picked to teach you the discipline but only after a meticulous interview procedure and considering their previous academic experience they are chosen to teach you the management concepts. In case if you are looking for an additional source to learn, besides learning from the experts, there are not one but two libraries. One library is home to thousands of books, covering a multitude of streams like Finance, Marketing, Human Resource or Operation, etc. The other is an E-Library from where you have a direct access to latest journals and research papers along with a plethora of books and it can be accessed by the Intranet server of the college. Talking about Information Technology (IT) facilities of the college, it brings to the foreground one recent and remarkable achievement by the college. Along with Intranet facility which not only updates you about various events across the campus, the college has developed an official interactive online platform called ‘Quicforce’. This platform allows you to see your academic performance. The forum, Quicforce, can be accessed by anyone who has been provided with IBS’s email Id. This platform not only allows you to take note of your next lecture with the case associated with it but it also updates you about your attendance in every lecture. The one thing which makes it so special is that you can connect to your peers on a real time basis. You can interact with your college and batch mates and you can even have a word with the students from the other branches of IBS too. This activity aids in understanding the concepts better. You are virtually surrounded with students and teachers from your campus as well as other branches of IBS. You raise a doubt in the forum and your doubt would be put to rest from the teachers and the other students. Though the theories taught in the college goes hand in hand with the practicality of the surroundings with the help of cases, the guest lectures by prominent corporate personalities as arranged by the college is icing on the cake. With current insights into the various industries, these lectures also lend you a hand in looking at the concepts of the book from a practical angle. Aiding the guest lectures and case studies in establishing practicality in the minds of students is Summer Internship Program abbreviated as SIP. Just like a trailer of the movie, SIP gives a fair idea of the C-World. With a project in hand, the SIP lasts for three months after which the grades are allotted on the basis of the quality of the project. One of the major ways by which IBS justifies your Investment is ‘Networking’. The students enrolled with IBS come from different cultures and places. You learn many things from them while pursuing your MBA but the network also stays strong once you disperse into your professional lives. With the students now working with different industries all at once, you are able to enhance your learning on what’s new in that industry provided you stay in touch with others by one way or other. And guess what! In case if you have a habit of continuously keeping yourself updated with the events of the corporate world, then the college offers you a large and a strong network of alumni. Most of them hold high positions in their organizations and many others are about to begin their journey. Hence you get to see the C-World from both the ends of the spectrum. Look at the fun offerings too from IBS. 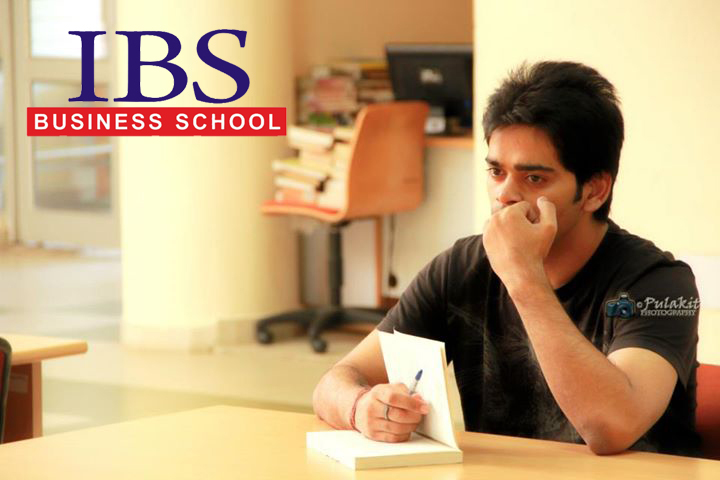 There are various official clubs at IBS with the sole purpose of entertainment along with learning. In addition, there are recreational facilities such as gym, sports. The annual fest, the fresher and farewell parties every year and the family like environment in the form of the hostel life add to the wonderful experience. The college offers nothing but the very best in every aspect, academically, recreationally and personally. Last but not the least, it justifies your investment and also takes care of the ‘return’ in form of ‘Placements’. From MNCs to Start-ups, the placement cell of IBS makes sure that the list of recruiting companies in their database grows each year and students get placed with a suitable profile with a handsome salary package. So you see there is plethora of things with which you can ‘Justify’ your primary investment. Interestingly, there is only one thing when it comes to your ‘Justification’ part and that is nothing but your participation in the above mentioned facilities of IBS. Unless you, as a student, don’t involve yourself in the above mentioned activities and programs, the glass would remain always half and you would end up perceiving it as half empty. In the end, don’t just enrol yourself with a college and pay the fee but remember to team up with your college before you tag yourself as the Master of Business Administration. This entry was posted by Alumni Speak and tagged MBA Program . Bookmark the permalink. Is your MBA and PGDM courses certified..? by UGC or AICTE or AIU..?